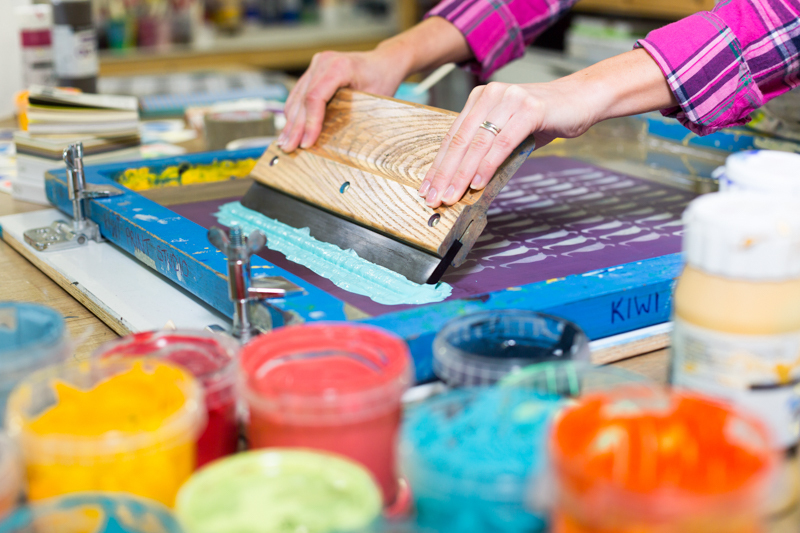 At Kiwi we have a fantastic, fully equipped printmaking studio which runs a busy programme of workshops. We have now set aside studio access days for our seasoned printmakers. During studio access days, a maximum of six participants will be able to work on self-directed projects under the guidance of a member of the Kiwi team. You will have full access to the facilities, however you are welcome to bring your own materials with you or use our materials for an additional fee. Enjoy printmaking at your own pace, safe with the knowledge that an experienced printmaker is there to support your creative process! The Open access sessions are designed for those who have taken one of our evening courses, or for those with enough experience to work independently. If you are unable to work confidently and independently in the studio, we can suggest some workshops or courses that could be suitable to build up your proficiency. Before you are able to use the studio, each person must complete an induction (bookings essential) when booking an induction session - if you have not attended one of our courses please email Kiwi a copy of your CV or Portfolio of recent printed work to demonstrate your proficiency and ability to work independently in a studio environment. The induction will take you through the studios equipment and health and safety, even if you have been to the studio or attended a course at Kiwi you will still need to complete an induction. Cost of a session covers basic material use. Technical support: Please note we are happy to provide you with technical support which includes setting up the equipment you require to carry out the process. This does not include teaching as you are required to work independently during open access. If you require a refresh on any skills or techniques we offer one-to-one tuition. This is taught by Dena or Ella both who have a wealth of Printmaking experience. For more details please contact the studio. 2019 / Day time open access sessions (10.00 - 5.00pm): If there are any specific days that suit you please contact us via email. 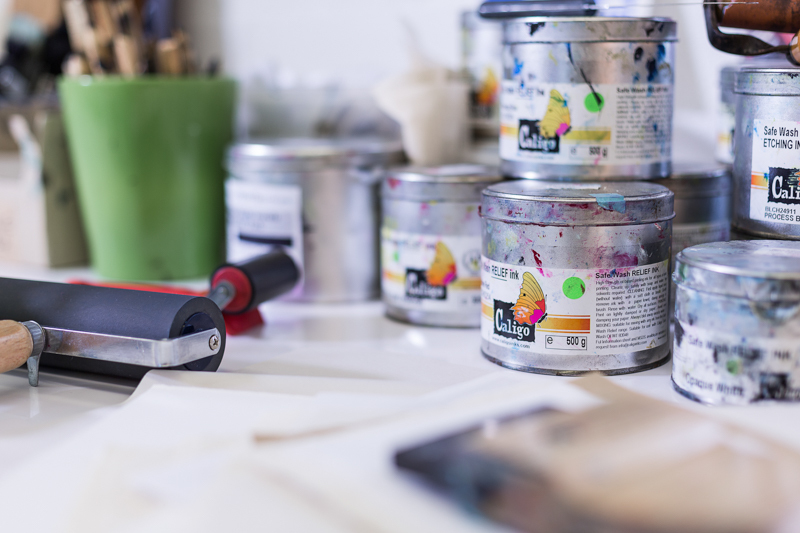 (Please note that there will be additional charges for excessive materials use of screen printing binders, paints, cartridge and specialist papers. Screen exposure and cleaning, will also incur an extra fee, please see our screen service page for more information).